Tassuvahti was born out of an unbearable pet fever. Every day we missed our own pets, and it was impossible to shake the feeling of wanting a pet at home. If our family members or friends asked for help with pet sitting, we did not hesitate to answer yes! One day, we thought why not do this as a job, since it does not feel like work? That’s how the story of Tassuvahti started. We started researching the state of care facilities for pets in the capital region, and we noticed that there were not many alternatives. That set in motion the first concrete steps to make our idea a reality. We wanted to start a service that builds on four values: flexibility, simplicity, excellent service, and a love for pets. In November 2016 we launched Tassuvahti. There has been such a demand, that we could start sharing our workload a bit! That’s the reason we started taking in some helping hands in the beginning of 2017. Today, we are 30 pet sitters in total, that feel like it’s not work to take care of pets, but rather fun and giving. Our vision is to reduce the amount of pets that are left alone at home, while their owner is at work or traveling, with a love for pets and the simplicity of the service at the core. 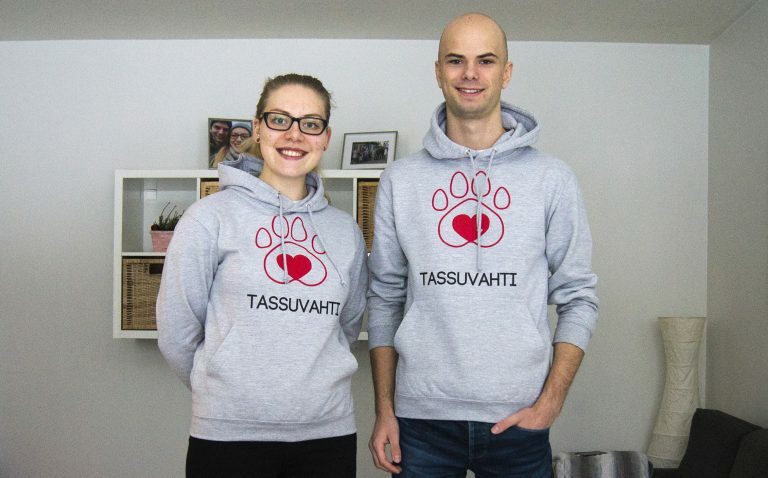 The founders of Tassuvahti are Laura Rantanen and Jonathan Lindholm, a young couple of students with a love for pets and entrepreneurship in their soul.